AB 1668 (Friedman) and SB 606 (Hertzberg) Conservation Legislation Stakeholder Listening Sessions from 9:30 to 3:30pm in Sacramento and also by webinar. Click here for more information. 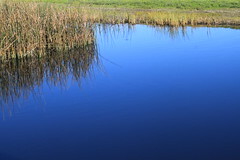 Webinar: How Chula Vista used Lean thinking to develop an actionable Water Stewardship Plan, from the Groundwater Resources Association from 12:00pm to 1:30pm. Click here for more information and to register. Radio show: Should more Delta water go to fish or farms? “The past month there have been debates over how to manage the water in the Delta — the Bay Area’s largest source of freshwater — and that’s drawn a lot of attention from the state capitol. What it comes down to is whether more water should go to fish or to farms.” Listen to the radio show from KALW here (6:02): Radio show: Should more Delta water go to fish or farms? Sick river: Can these California tribes beat heroin and history? “For thousands of years, the Klamath River has been a source of nourishment for the Northern California tribes that live on its banks. Its fish fed dozens of Indian villages along its winding path, and its waters cleansed their spirits, as promised in their creation stories. But now a crisis of opioid addiction is gripping this remote region. At the same time, the Klamath’s once-abundant salmon runs have declined to historic lows, the culmination of 100 years of development and dam building along the river. Today, many members of the Yurok, Karuk and Hoopa tribes living in this densely forested area south of the California-Oregon border see a connection between the river’s struggle and their own. ... ” Read more from the New York Times here: Sick river: Can these California tribes beat heroin and history?